Poi is one of the traditional Maori performing arts and is now used worldwide for spectacular performance shows. 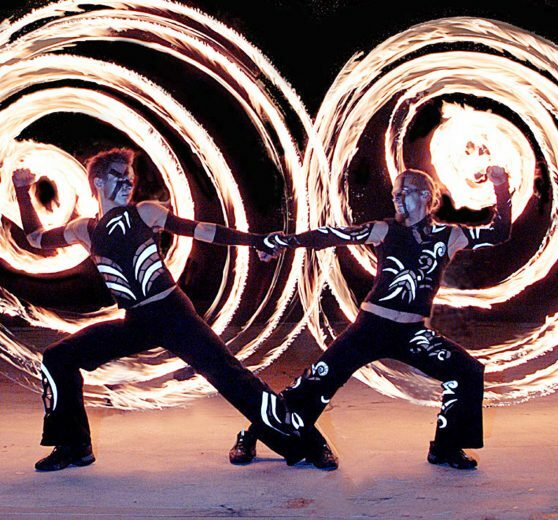 Book a professional Poi dance troupe for an explosive mesmerising show and go on a journey of fire and light with a unique fire poi performance. Poi is one of the traditional performing arts of the Māori people of New Zealand, and is now used worldwide for spectacular performance shows. Book a professional Poi dance troupe for an explosive mesmerising show combining fire poi manipulation with disciplines such as contemporary dance, Tai Chi, salsa, kung fu, street dance, acrobatics and more. 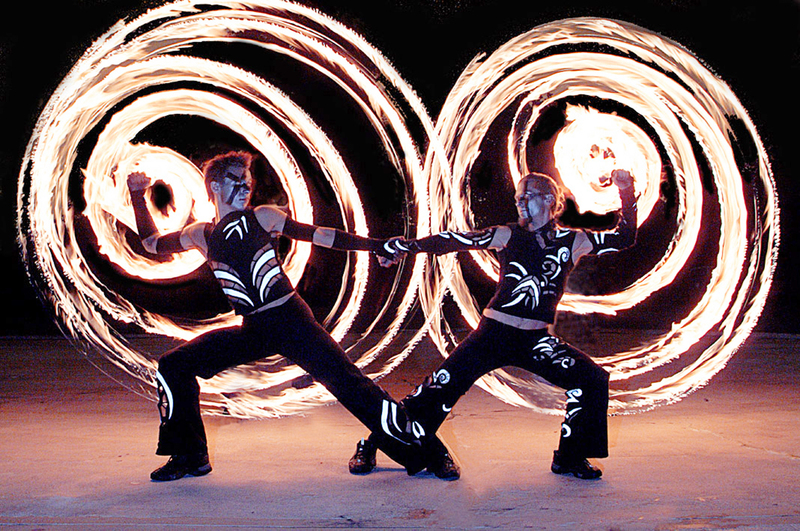 They will take you on a journey of fire and light with a unique fire poi style and performance. 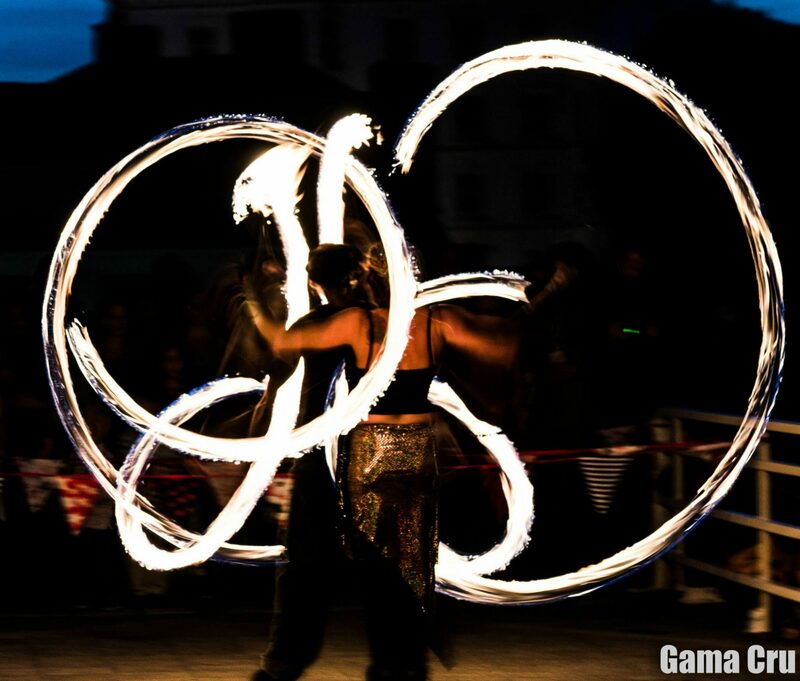 Fire poi, double poi, fire skipping ropes, poi ropes, fire swords, fire fingers, fire spinners, fire fans, fire palms, glow poi, fire hula hoops, fire headdress – the shows become ever more daring but be assured that safety always comes first. Poi dancers are ideal for Wedding fire blessings, Corporate entertainment stage show, mix and mingling with guests and workshops, club events, private functions, festivals and firework night shows. 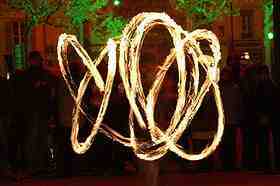 Shows can be choreographed to suit any theme and number of Poi dancers chosen for your event. If you don’t want a show a solo performer is superb whether performing on stage or mix and mingling with guests. Having a poi dancer at your event creates a mystical and powerful atmosphere and leaves your crowd remembering the occasion forever.